Jeep is a well known vehicle brand known for its “Go Anywhere, Do Anything” philosophy. Through the years, Jeep vehicles are known for their 4×4 capabilities and ability to cross rugged terrain. Indeed, when it comes to Jeep auto transport, we suggest working with a company that mirrors their values and is willing to “go anywhere, do anything” to ensure an exceptional Jeep auto transport experience. Keep reading for useful tips regarding how to ship your Jeep, cost and why Jeep owners and dealerships nationwide choose us. Of course, if you’re ready to move your Jeep, request a free customized auto transport quote. Or, give us a call at 1 (888) 886-3456 today. Shipping your Jeep should be an easy and pleasant experience. The first step to a positive Jeep auto transport experience is to do your research online. Avoid selecting a transporter solely based on lowest cost. In fact, with many companies in the auto transport industry, the lowest price can lead to unwanted delays and frustration when they drop the ball. In reality, the cost to ship a Jeep depends on factors like the time of year, location and type of shipping. For example, enclosed auto transport will cost more than open, but there are pros and cons to each worth considering. Instead of focusing on cost, we recommend evaluating Jeep auto transport companies on the greatest likelihood of a safe, on-time pickup and delivery. After checking their reviews, you’ll find the best Jeep auto transporter has a flawless five star reputation among customers for reliability. They are a well-established auto transport company, fully licensed and insured. The transporter shares Jeep’s rugged determination. In other words, your auto transport company goes anywhere and does whatever it takes for you. At Fisher Shipping, our reputation is one of the few auto transport companies that fall in this elite category. With over 30 years of trust and reliability, we will make every Jeep auto transport move easy for you. Give us a call today: 1 (888) 886-3456 . My experience shipping my Jeep from TX to MA with Fisher Shipping was 100% positive. They truly earned the 5 stars. I encourage you to check out their reviews and the reviews of other companies. Most companies will have a high score but a bunch of negative reviews. I could not find a negative review for Fisher Shipping! I worked with Mike P. He stayed in communication with me throughout the entire shipping process, even after they had collected their fee. They are a broker, in case you were not aware. Mike P. talked with my contact at pickup prior to scheduling the truck just to make sure that we wouldn’t have any surprises or changes to the agreed upon fee. He let me know when the vehicle was picked up and addressed all my concerns thought out the “waiting” time of 4-6 days. The vehicle was delivered on time even with freezing cold temperatures and snow. Driver was courteous and went the extra mile when the battery died in the vehicle on the trip. The quote I got from Fisher was not the lowest, but very very competitive. For me, it was worth an extra few dollars to have a person I could contact and get quick responses to my concerns. It’s like paying a little extra for piece of mind. Cannot recommend them more highly. Dave and Nicole were very helpful and informative regarding the shipment of my Jeep from MA to OR. Jeep arrived by anticipated date and in perfect condition despite multiple storms across the mid-west. Drivers were very helpful and patiently waited for me to get out of work a bit later than expected to pick up my Jeep. 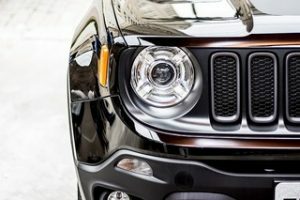 Little bit more expensive than other quotes I had seen but well worth it to have my new Jeep arrive in the same condition as it had left the dealership. When my son decided he was going to travel with friends from Vail, Colorado to the Florida Keys, I had to call Fisher Shipping to get the Jeep back to Massachusetts. (He can enjoy it now, he’s still a college kid). The company is great on getting back to you when you email and great on answering the phone during business hours. Can’t say enough. Enclosed vehicle transport available: If you’re shipping a new Jeep Wrangler or moving a long distance, you may want to choose covered or enclosed auto transport.